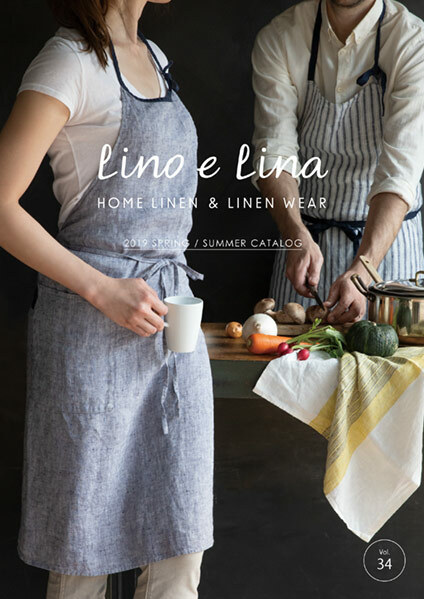 and home linen produced by a factory in Lithuania. We offer a large range of high quality finished products. 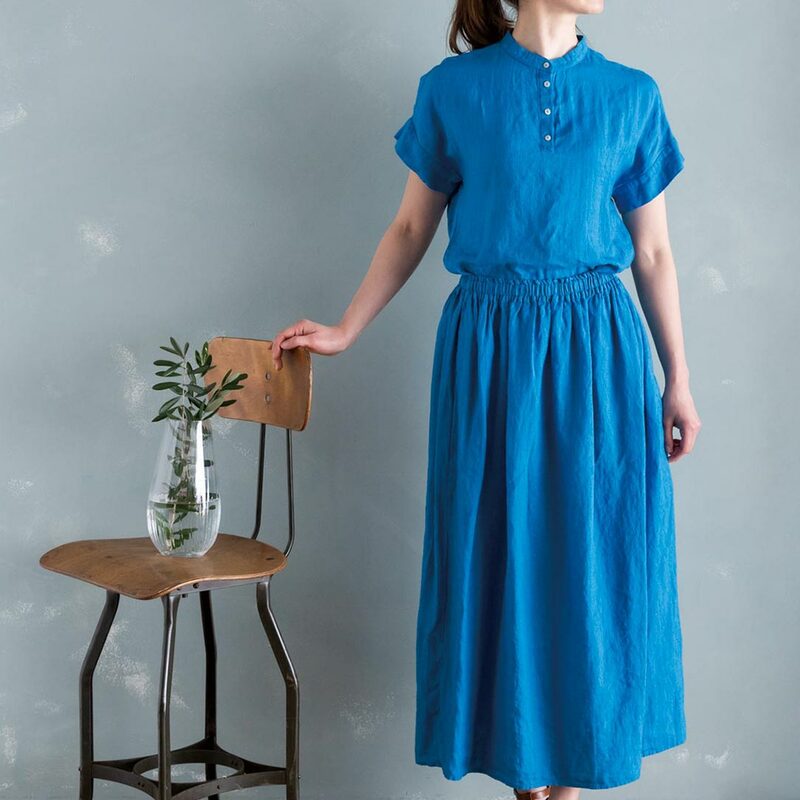 The amazingly soft and smooth linen items will color your daily life with good materials, contemporary Japanese design, and fascinating color variation. We started our story with meeting impressive cultures in Europe. 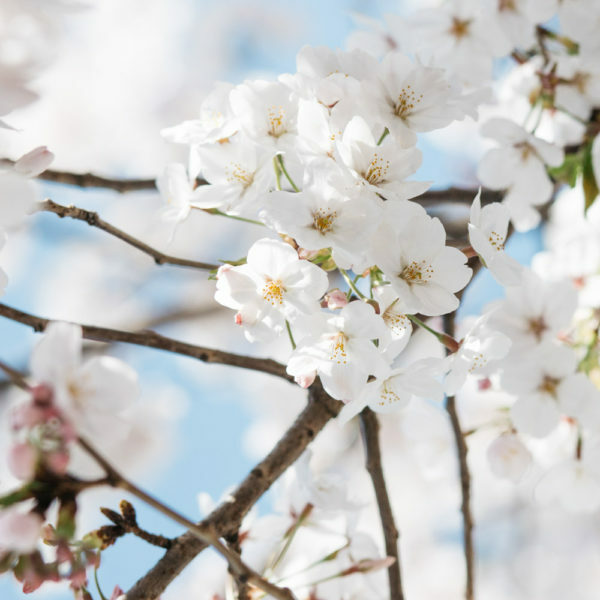 From our first business through now, we have pursued being a “joint” between Japan and the world with introducing goods, designs, or beliefs of one culture to another. We believe this will bring happiness to people, and will contribute to a better world. Cherry blossoms are in full bloom in Tokyo! It is breathtaking. If you come to Japan during this beautiful season, we welcome you at our shop in a cherry blossom street in Jiyugaoka. And if you are wholesaler, contact us to visit our showroom. We released our new lookbook online. It is written in Japanese, but you can find our spring styles with our newest clothing collection. We are exhibiting at JUMBLE TOKYO until 15th of March. It started as a fair of men’s clothing, and the atmosphere is different from those we have exhibited. 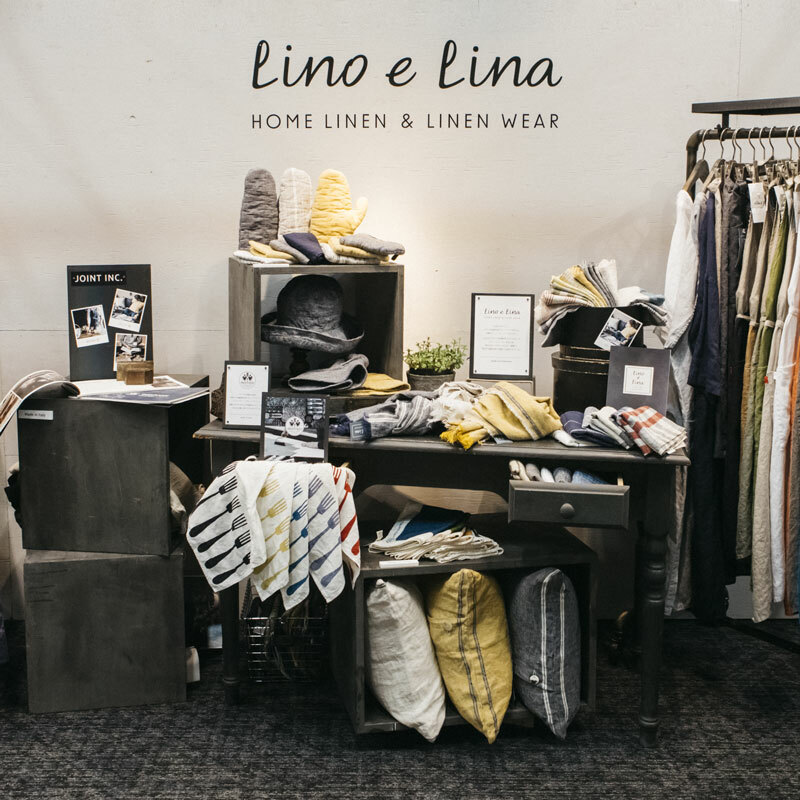 This is our first time to be there and we are excited to share our linen and wool blankets. 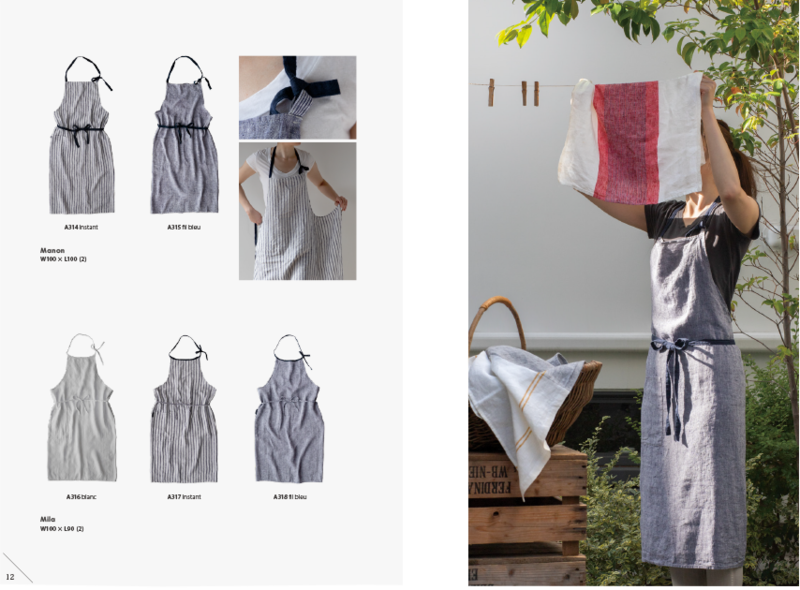 Our aprons, the best-selling line of Lino e Lina, have been loved by our customers for a long time and come in various colors. All are made of washed pure linen, so very soft, comfortable, and appropriate for daily house work. 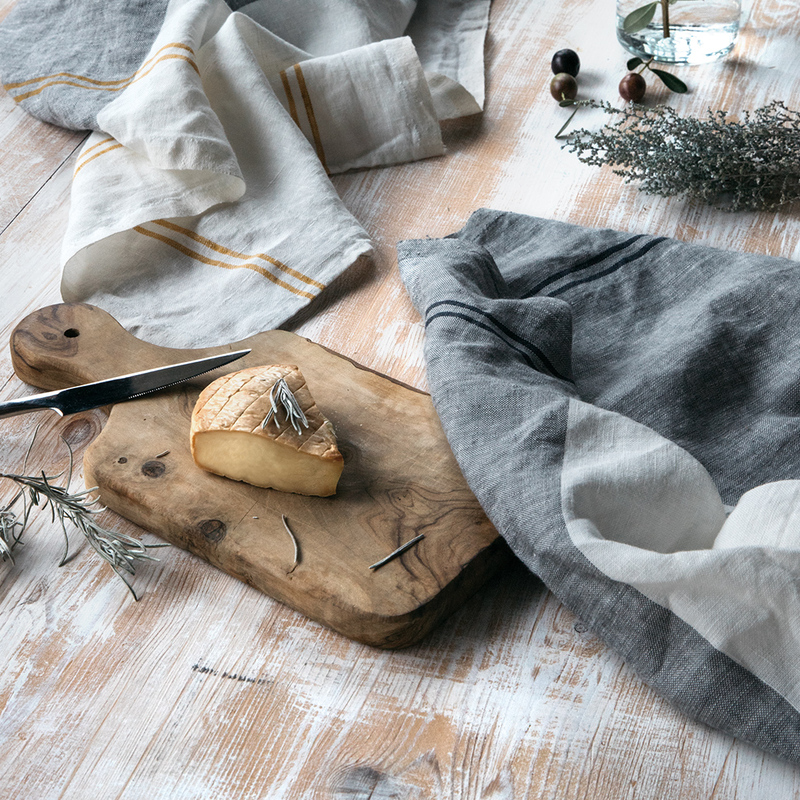 Our kitchen towels, made of washed pure linen, are thick and tough enough for daily use, while fitting softly on the hands. 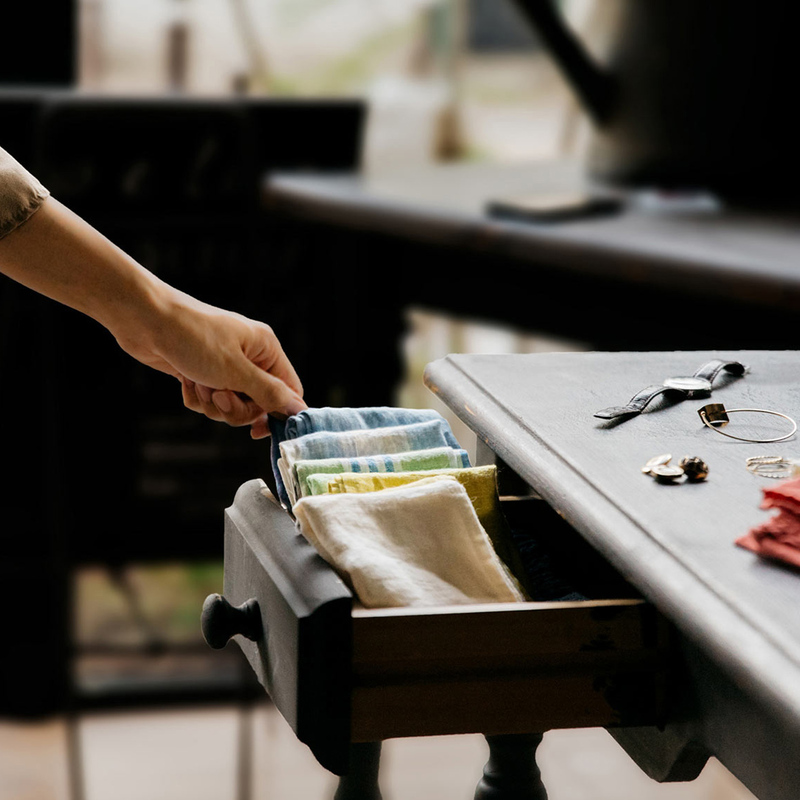 Water absorbability of linen is higher and dries faster than cotton, so it’s suitable for sanitary situations such as in the kitchen. 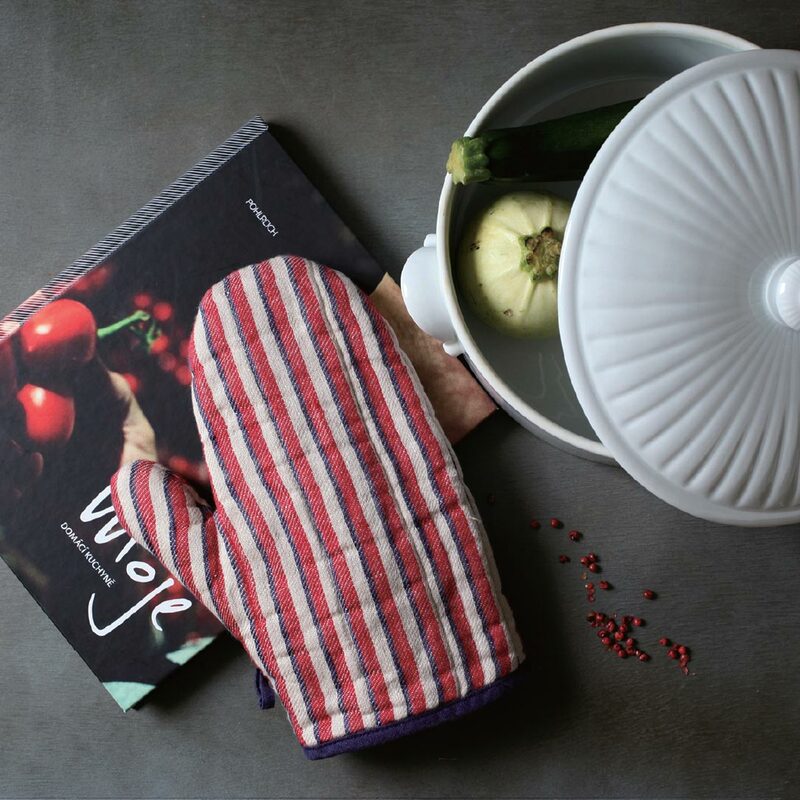 Our oven mitts make cooking more fun with various colors. 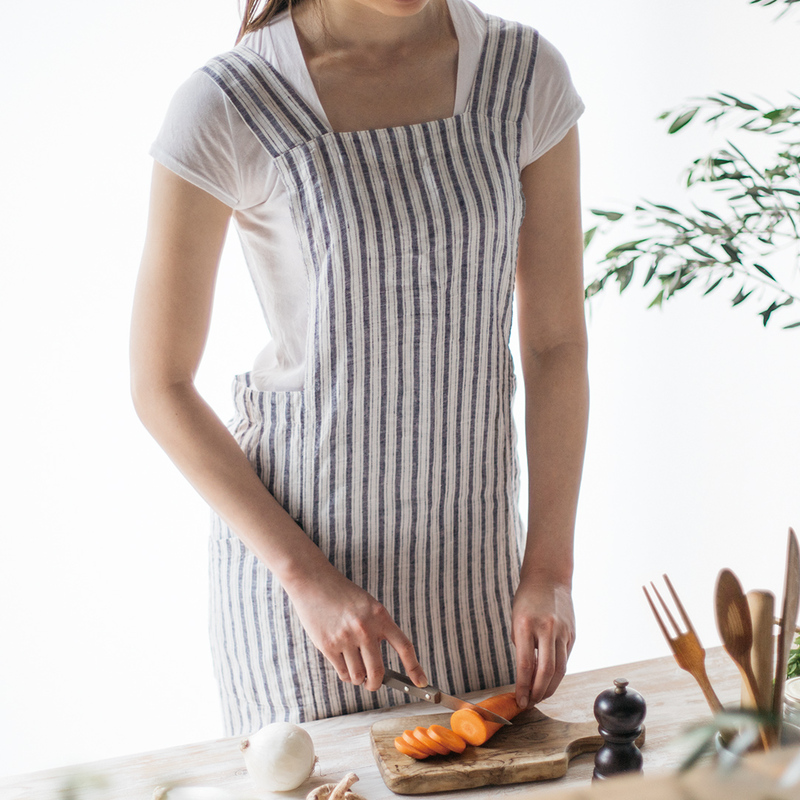 The design is chic and original, and you can enjoy color combinations with our aprons and kitchen towels. Our clothes are designed in Tokyo and made in Lithuania. 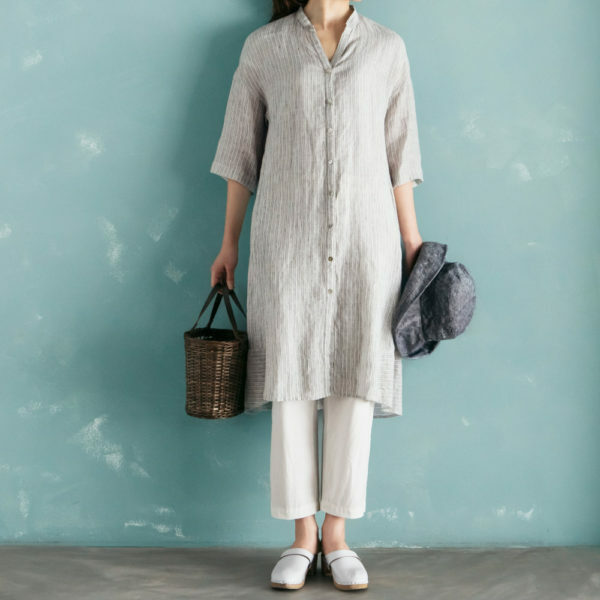 With the soft texture of washed pure linen, they loosely fit to your body and they add natural and elegant impressions to your outfits. 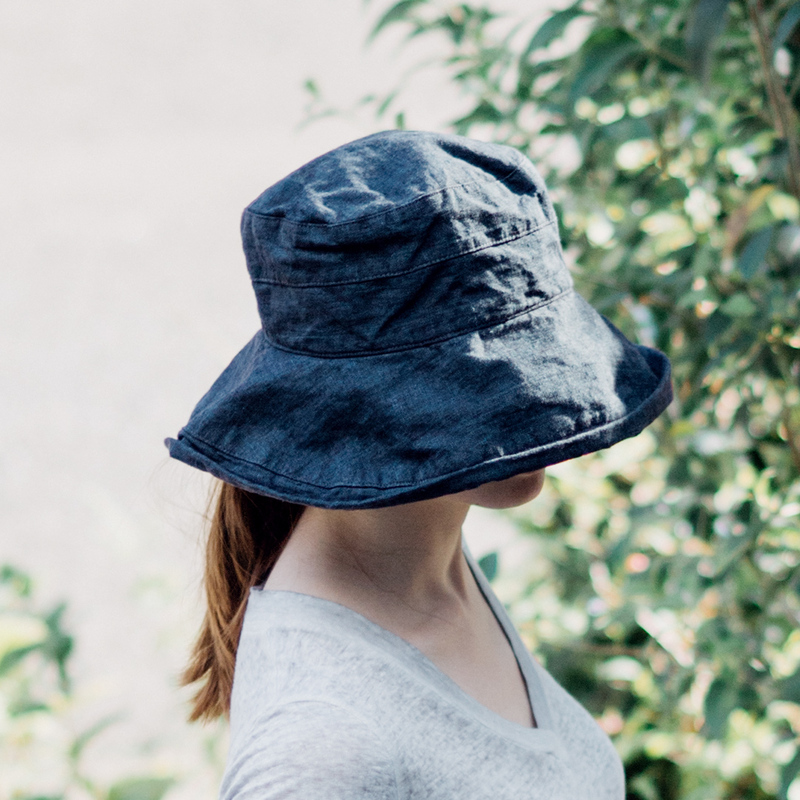 Our hats, made of washed pure linen, have a smooth and dry texture. They are foldable, and so useful to carry on a trip. You can chose your favorite from various colors. Our handkerchiefs, made of washed pure linen, are tender to the touch, and are suitable for a little gift. They come in a variety of color. 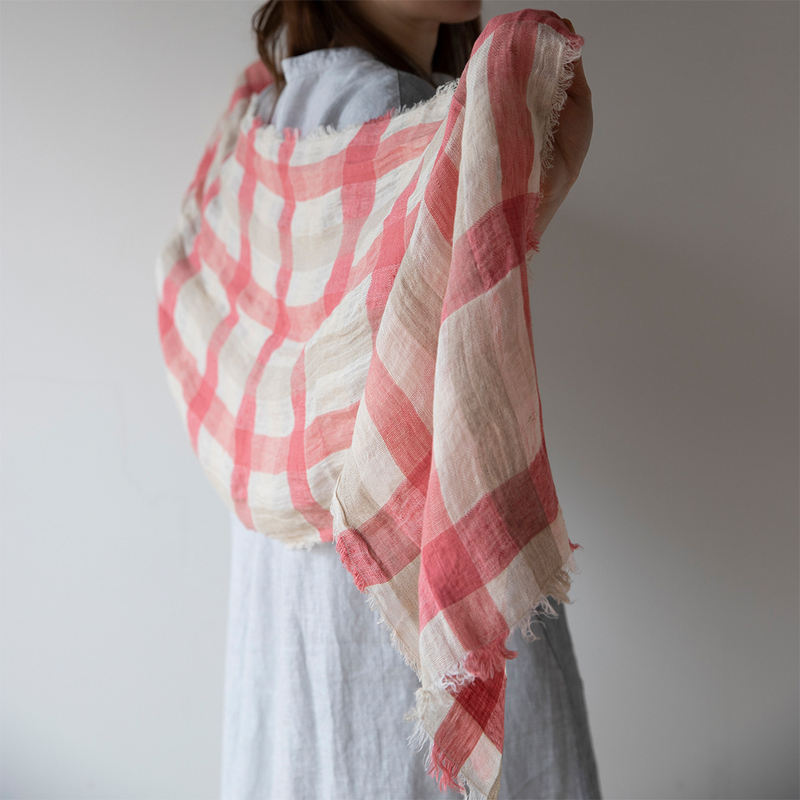 Our shawls, made of washed pure linen, are agreeable to the touch. They protect your skin from the sun’s rays and sweat all year round. Our bags, made of washed pure linen, have a unique design. Some of them are reversible. 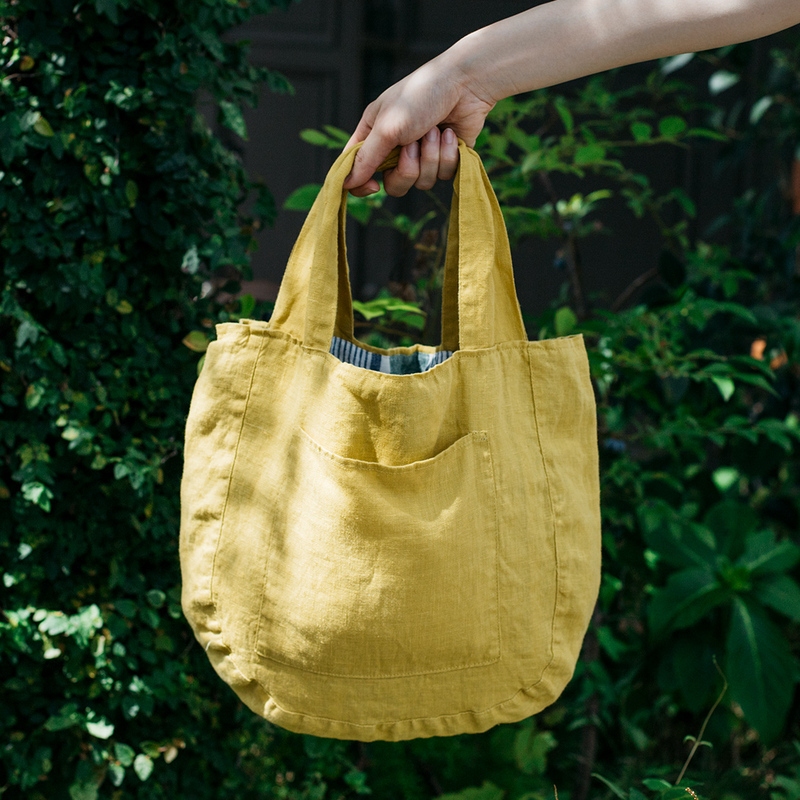 They are foldable, so useful to carry for shopping, and suitable as a lunch bag. They are tough enough to be put in the washing machine everyday. 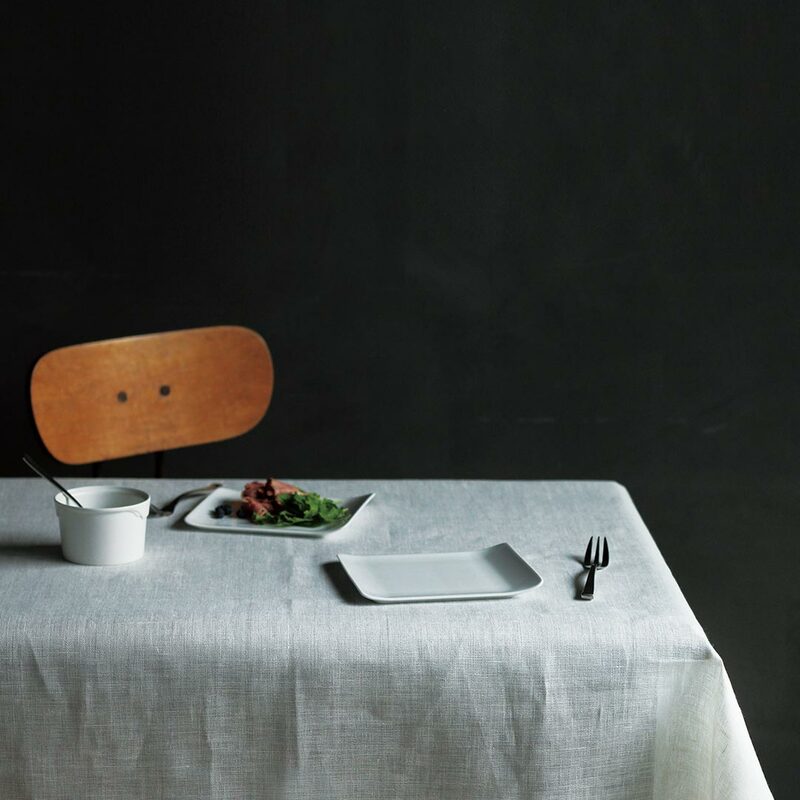 Our table linens, made of washed pure linen, are simple and basic. They are thick and tough enough for daily use. 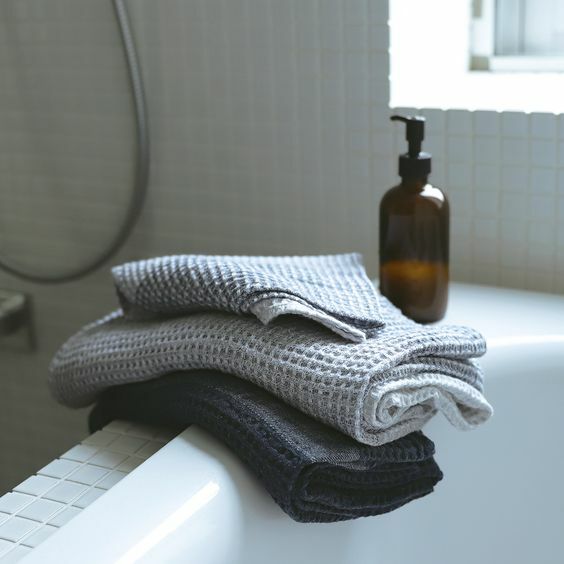 Our bath linens, made of washed pure linen, are soft and smooth. 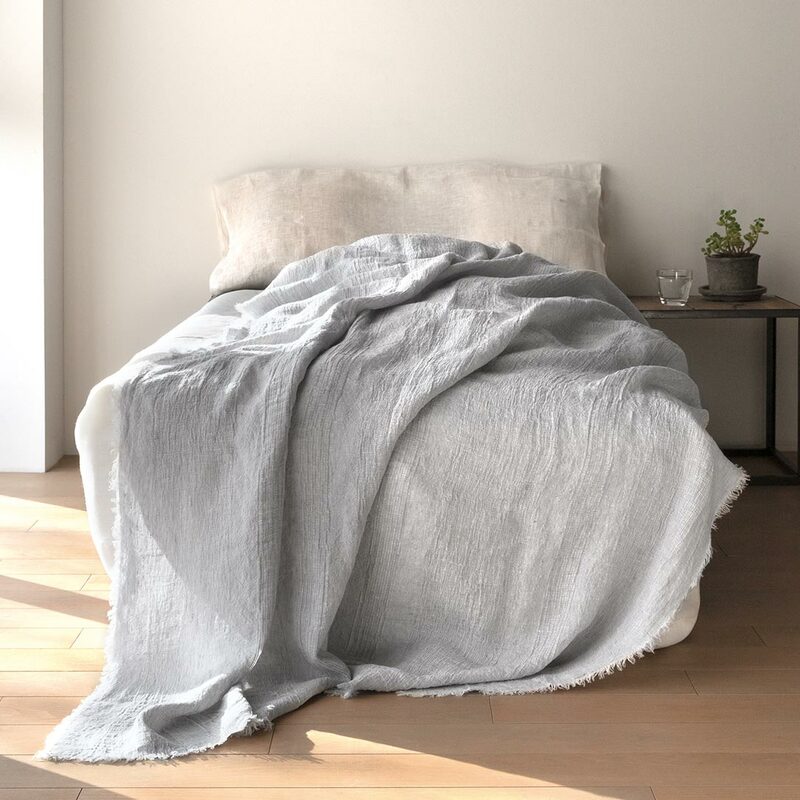 Water absorbability of linen is higher and dries faster than cotton, so it’s suitable for sanitary situations such as in the bathroom. Our Linen plaids, made of washed pure linen, are comfortable, smooth and soft to the touch. They are easy to dry after the laundry, and hard to get dirty, so very hygienic. Please fill in the following form to see our catalogs. We will reply by email with URL of our online catalog. Please fill in the following form to request other photos or materials. We welcome you to our showroom & shop in Tokyo. You can find a wide range of products displayed. Please make an appointment in advance by the contact form. If you have questions, or want to give feedback, please fill in and submit the form below. Subscribe our newsletter to receive news about new items, fairs, and exclusive offers! Copyright © 2003 - 2019 Lino e Lina. All rights reserved.